You can add to the shopping cart basket directly from the detailed page of a product. Next to the main image of every product there is a button titled “add to cart”. Once you have clicked on the “add to cart” button to place the item in your shopping cart basket, your page will be redirected to the checkout. You can also locate your basket at the top of the page on the right. Your items will be listed in the basket, you can also edit them further from here. 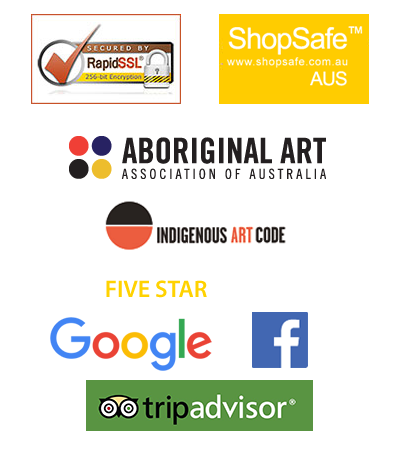 All artworks and artifacts ordered online come with free worldwide shipping. You do not need to add any additional monies for Shipping or shipping insurance. Please contact us via the “contact us” page if your order has not been received within the time stated on the shipping information page. Go to My Account and register. Once you have created the account, you can use this for future purchases where the items you place in your basket will be remembered even if you leave this online store and come back later. Payment options will be listed on the secure checkout. We currently accept Visa, Mastercard and American Express credit cards as well as Money orders, Direct Bank Deposit, and Paypal. If you wish to pay via cheque, please contact us to organise in advance. This shopping cart has 128bit Secure Socket Layer protection, the highest level protection for internet sales. For more information go to our “Buying Safely online page“. There are three ways to find the item you are looking for. 1) Browse through the different artwork categories. 2) Use the search tool at the top of all the pages to find the artwork through keywords. 3) Browse by artist using the drop down box found at the top of the home page and also in the sidebar of many pages.